On 26 April, 7 months after the forcible disappearance of the 43 students from the Ayotzinapa Rural Normal School, some 400 people installed in Mexico City an “antimonument” to commemorate the fact that this State atrocity continues to go unresolved. After the antimonument was installed, Melitón Ortega, one of the parents of the disappeared students, stressed that seven months have passed during which the relatives of the disappeared have sought justice and truth, but these months have also implied a great deal of pain and frustration. Ortega demanded that the Federal Attorney General’s Office attend to the recommendations of the interdisciplinary group of experts from the Inter-American Commission on Human Rights to open new lines of investigation in the case, and to analyze the presumed participation of the military and the former governor Ángel Aguirre in the State crime. On 23 April, Cuitláhuac and Lenin Mondragón attended the tenth Latin American Conference on Critical Jurisprudence “For Memory and Against Forgetting” that was held at the Center for Interdisciplinary Investigations in the Sciences and Humanities at the National Autonomous University of Mexico (UNAM). They denounced that the murder of Julio César (the only one of the 43 youth whose remains have been found) has not been adequately covered by the Federal Attorney General’s Office (PGR), for the Guerrero state authorities have not carried out a “scientific investigation” to find and punish those responsible. They demanded that the authorities provide justice in the case against the students, punishment of the intellectual and material authors of the crime, compensation of damages to the relatives of the disappeared in accordance with international standards, promises of non-repetition, the opening of new lines of investigation, and a formal recognition of the forcible disappearance of the 43 students, the extrajudicial murder of another six persons, including Julio César, and a recognition that Julio was tortured before his murder. 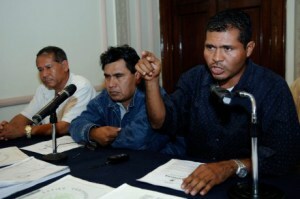 To demand justice, the defense lawyer Sayuri Herrera announced to SDP News that the family-members would request a summons before the Inter-American Court on Human Rights (IACHR) to denounce the case, given that, from their view, enough evidence exists to show that Julio César indeed was tortured. In a police raid on June 17, in the city of Acapulco, state ministerial police arrested the spokesperson for the Council of Ejidos and Communities Opposed to the La Parota Dam (Cecop), Marco Antonio Suástegui Muñoz. According to the State Attorney General (PGJE), there was a warrant for the arrest of Marco Antonio Suástegui for his presumed involvement in various crimes. The suspect faces about 15 criminal investigations for various suspected crimes linked to his struggle against the construction of the La Parota dam and the removal of gravel and sand from the Papagayo riverside. The Cecop has announced that it would submit the case to the Tlachinollan Human Rights Center, for it to conduct the defense of the detainee. As reported by the weekly magazine Proceso, “the arrest of the leader of the peasants in opposition to the La Parota dam occurs in a context of reactivation of the hydroelectric project promoted by the Federal Electricity Commission (CFE) and supported by the administration of Aguirre,” the state governor. In observation of the International Human Rights Day (10 December), the National Network of Civil Human Rights Organizations “All Rights for All” (TDT Network) sent a letter to the state governor of Guerrero, Ángel Aguirre Rivero, to warn that the state is one of the most dangerous places for journalists, activists, and human-rights defenders. Different civil organizations have urged the governor to provide instructions to guarantee their security and protection. 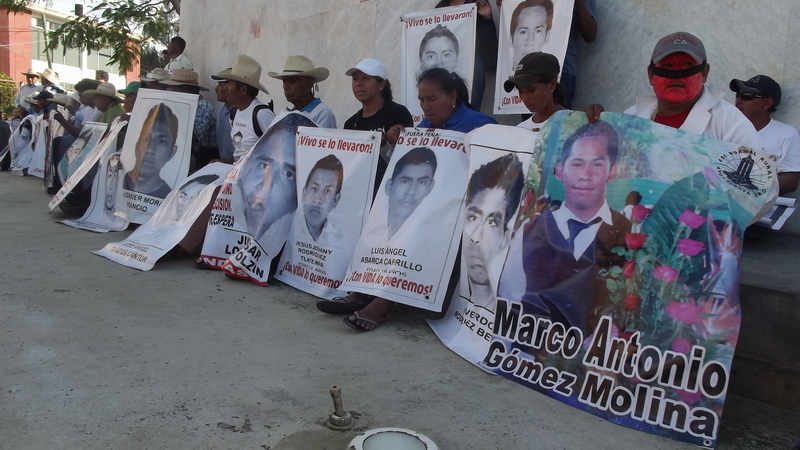 In the public letter are recalled aggressions, murders, and disappearances of activists such as Eva Alarcón y Marcial Bautista (whose whereabouts have been unknown since 7 December 2011) and Jorge Alexis Herrera Pino and Gabriel Echeverría de Jesus, students from the Rural Normal School of Ayotzinapa (murdered on 12 December 2011), among others. 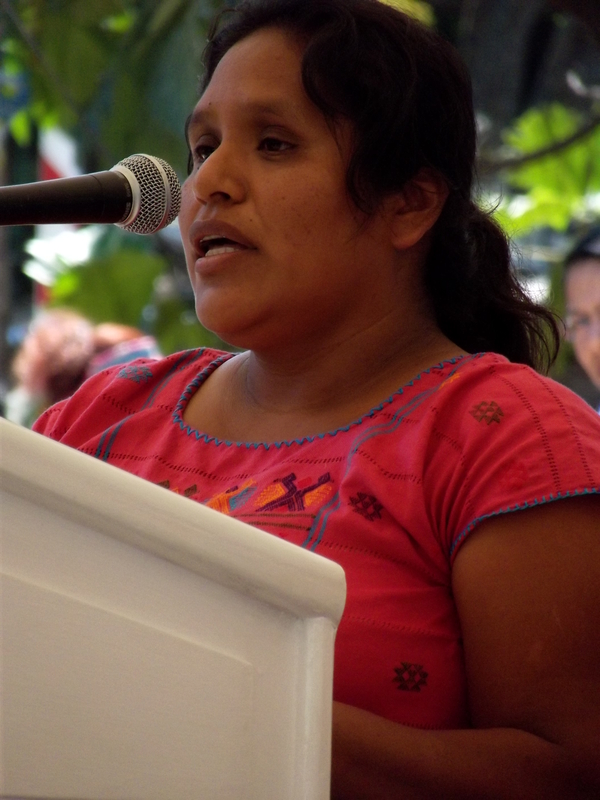 On 23 October, the UN Human Rights Council showed in the Universal Periodic Review (UPR) that Mexican women who advance social causes and engage in journalist are attacked with insufficient attention being provided to the question by authorities. In accordance with data from the TDT Network, from 2010 to 2012 there were registered 25 murders of human-rights defenders, with 118 attacks and seven murders of such workers in 2012 alone. In 99% of the denounced cases there have been no arrests, and for this reason impunity prevails. The TDT Network is comprised of 74 organizations from 20 states, including the Migrant Home of Saltillo, the Fray Bartolomé de Las Casas Center for Human Rights, the Miguel Agustín Pro Juárez Center for Human Rights, and the National Center for Social Communication (Cencos), among other groups.